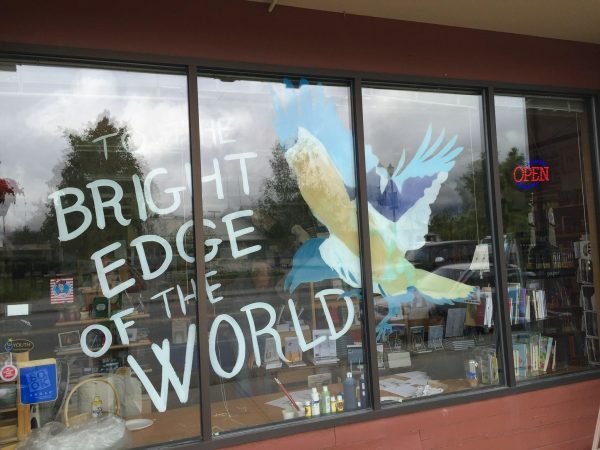 Northwest Book Lovers, the blog for Pacific Northwest Booksellers Association, recently asked met to do a guest post. It was a wonderful chance for me to express something I’d been wanting to say for a long time. In the fall of 2001, a sign appeared in a storefront in Palmer, Alaska. “Bookstore . . . Coming Soon.” Whenever I drove by, I would slow down and try to peek in the windows, and over several weeks I watched boxes being stacked and unpacked and bare wooden shelves installed. I can’t remember ever being so excited about something in my hometown. But as much as I anticipated its opening, I never could have imagined how this little bookstore would change my fate.